Penelope's Passion really will knock her off her feet! 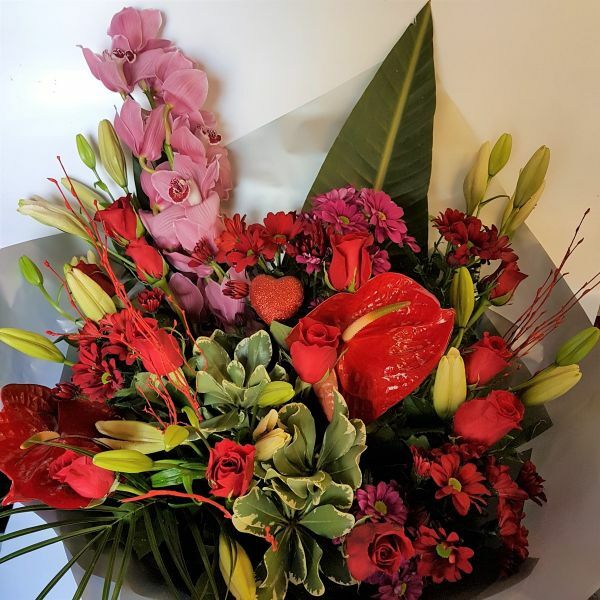 An exotic and luxury selection of roses, anthurium, orchids, lily, and spray chrysanthemums - you're sure to recieve a big thumbs up! This one definitely has all of a girl's favourite flowers. Please order with 2 days notice to ensure we have all of these wonderfully exotic flowers in specially for your order.